From the moment I met Patrick I knew I was in great hands. From start to finish his complete professionalism made me feel confident and the finished product was better than I imagined! 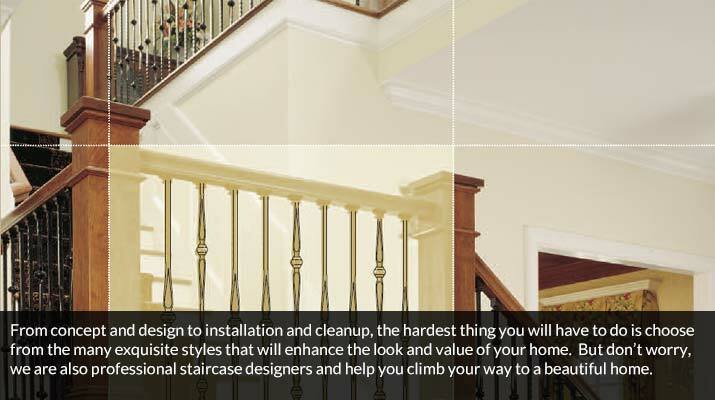 Thinking about upgrading your staircase? 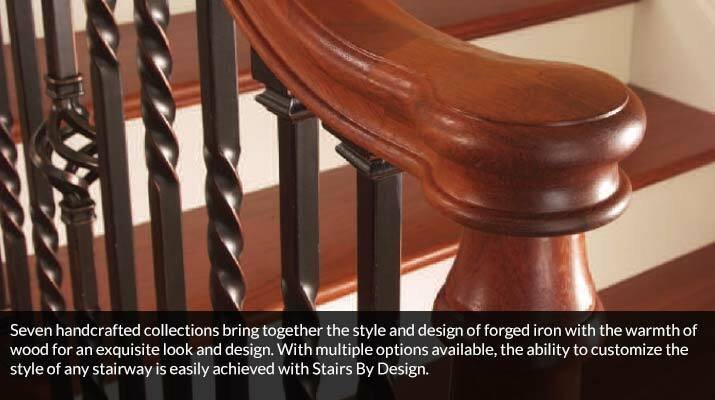 Our forged iron stairways may be designed to your preference. Feel free to “mix and match” balusters that appeal to you. Forged iron newels may be used in Over-the-Post installations. 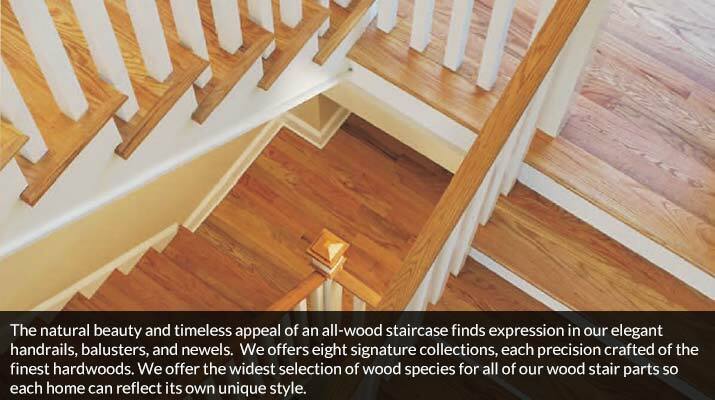 Wood newels may be used in both Post-to-Post and Over-the-Post stairways. We offer a wide array of styles with matching fittings. See page 59 for the handrails that may be used with our forged iron stairways. Up late thinking about a new staircase and came across our site? Now you can start to imagine your new staircase before we visit you. 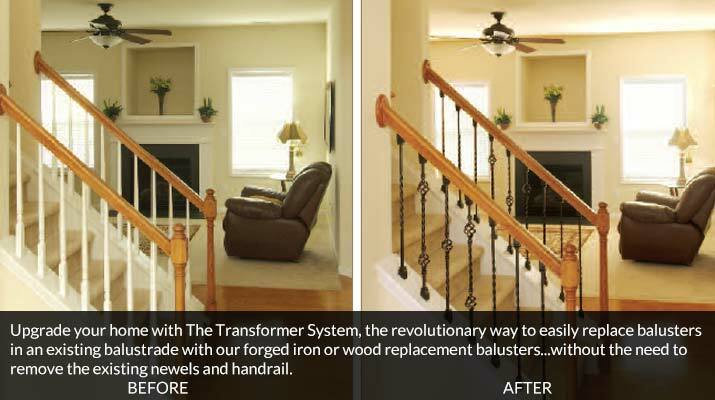 Stairs by Design builds distinctive style in its stair parts collections and components, and is introducing The Transformer System a new, revolutionary way to replace balusters - stair parts with style. Go take a look at your existing staircase. Is it what you imagined? Is is what you want? Is it causing you to fall out of love with your home? 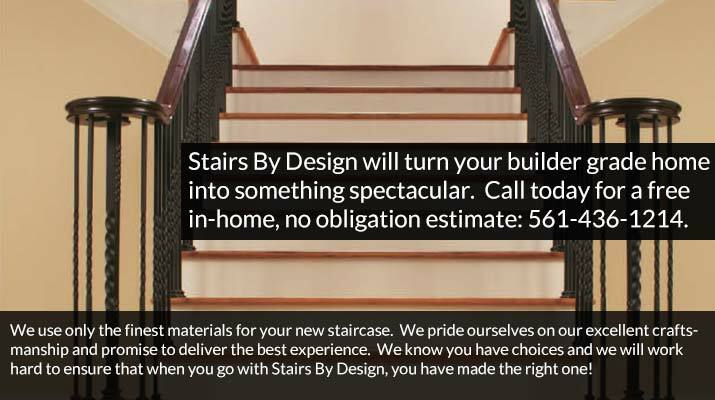 If you have been thinking about upgrading your staircase but thought it would be cost prohibitive or take weeks to install, let Stairs By Design bust all of those myths for you and and help you realize a look and design that will fit your budget. Let us help you fall back in love with your home... CALL NOW! Seven handcrafted collections bring together the style and design of forged iron with the warmth of wood for an exquisite look and design. With multiple options available, the ability to customize the style of any stairway is easily achieved with Stairs By Design.